The suspense! This is my favorite story you have posted so far. Love it! Thanks Buttercup--it's my favorite too! Oh crimeny, I think I had the same nightmere last night. Yow! This rules. I'm really sad it's about to end. I want to add to the other comments. I think this is also my favorite! Hydroplane. 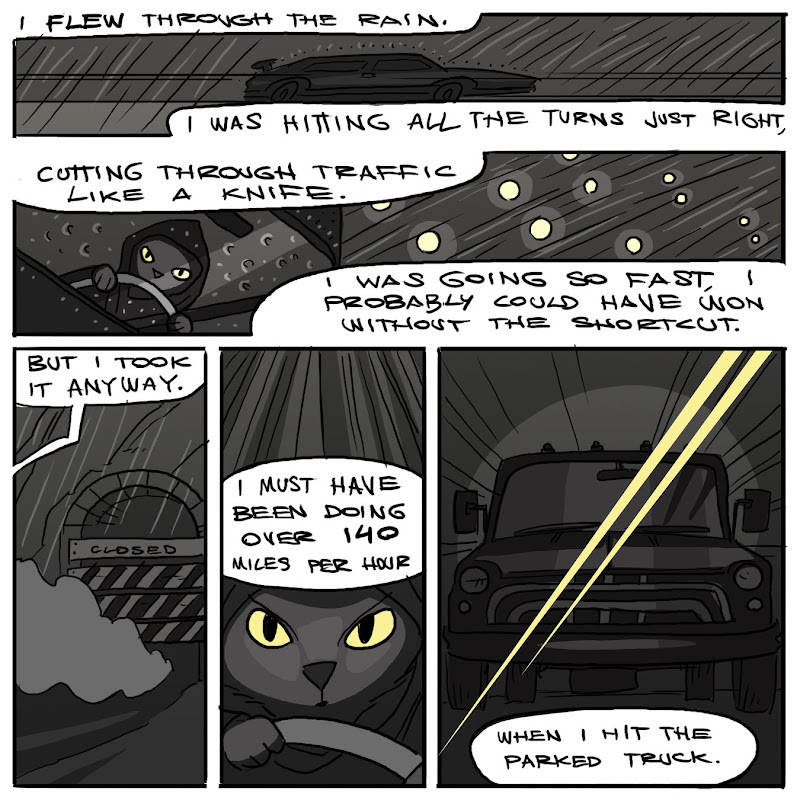 Do not give this comic to a driver's ed class.